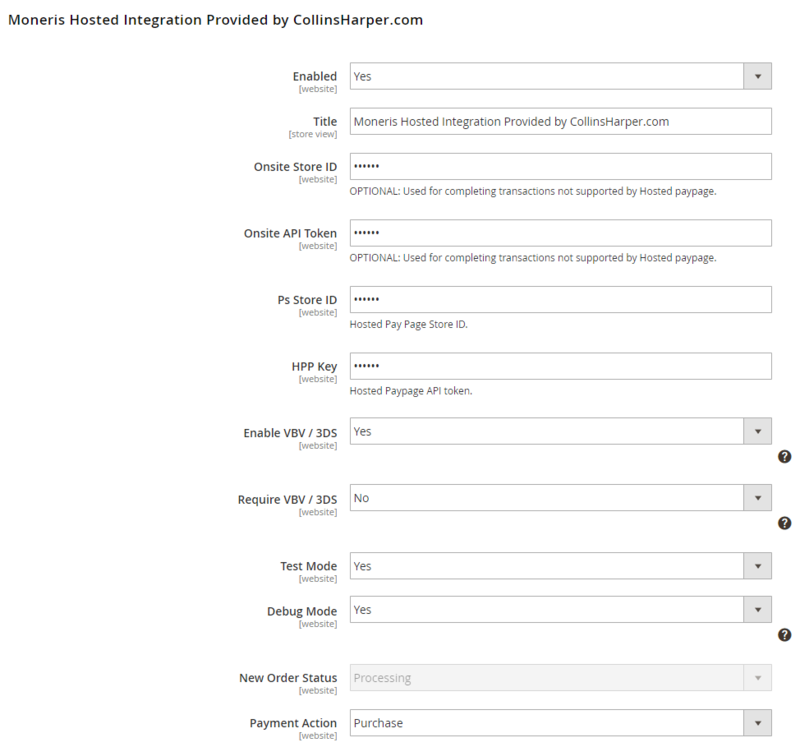 For the past 10 years Collins Harper has been building payment and shipping modules and we are proud to release our module for Moneris on Magento 2. As one of the most trusted payment gateways, Moneris is an extremely popular choice for Canadian merchants. This module is absolutely free! However, to use the module you must have a Merchant Account with Moneris. To learn more about the transaction rates and service fees associated with a Moneris Merchant Account, contact a Moneris representative today. Hosted Pay Page (HPP). With Hosted Pay Page, your customer’s data is entered directly on a merchant branded secured Moneris webpage which can help reduces PCI DSS scope. Onsite Processing (API). If you would like to implement a more traditional checkout flow where customers enter their data directly on your site, you would configure the module for API use. Both the HPP and API methods support the Moneris Vault service. Both the HPP and API methods of payment include support for CVV and AVS verification as well as the payer authentication services Verified by Visa and MasterCard SecureCode. 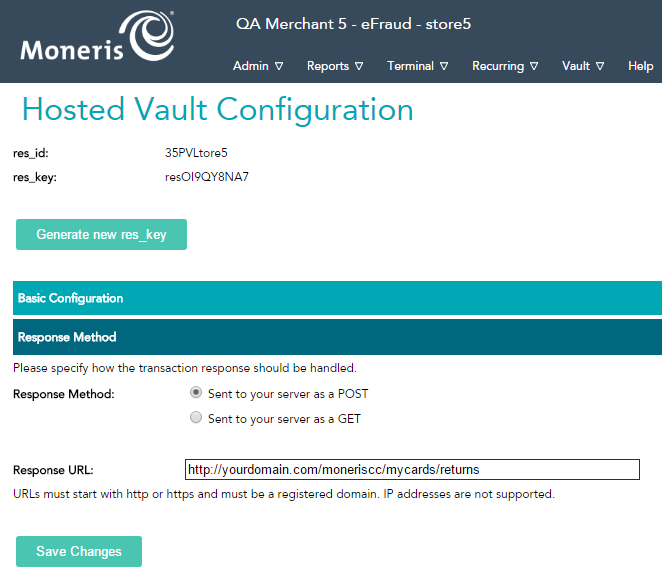 Moneris Vault is a service offered by Moneris and supported by this module. When this service is configured for use on your website, customers will be able to store their card data in a secure Moneris datacenter. When data is stored in this way, your website will receive a token value which the module stores with the customer’s account on your website. If a customer has a token stored, then the next time they checkout on your site, they are asked if they would like to checkout using a card that they’ve used before. For repeat customers, this decreases the amount of information required to checkout which makes the process faster. The best part is that the technology does not require you to store any sensitive card data, Moneris does that for you! Need Help? Please contact us using the contact form. Paid installation is also available. Login to the Magento Admin and navigate to Stores > Configuration. Enable Vault This setting activates or deactivates support for Vault, the Tokenization system provided by Moneris. Store ID Store ID is assigned when merchants complete the store activation process. To test the module, use the following guide to find developer credentials. API Token API Token is assigned when merchants complete the store activation process. To test the module, use the following guide to find developer credentials. Enable Hosted Vault If you are not using onsite processing, and you wish to offer tokenization, you need to enable hosted Vault. Otherwise, it can be disabled. Hosted Vault Res ID This is generated in the Moneris Merchant Resource Center. Hosted Vault Res Key This is generated in the Moneris Merchant Resource Center. 5. The res_id and res_key are assigned here. 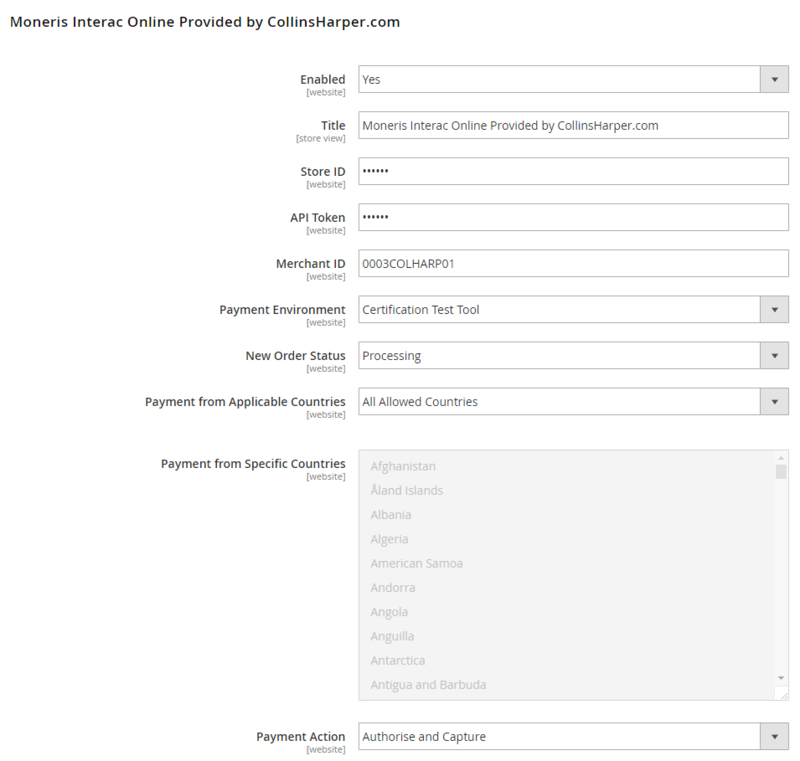 Use US API Moneris has two gateways available, one for USA and one for Canada. Use the USA settings if you bank is physically in the USA..
Credit Card Types This defines which Payment Methods are allowed. API Token Store ID is assigned when merchants complete the store activation process. To test the module, use the following guide to find developer credentials. Test Mode If yes, Moneris Test environments are used when processing transactions. If no, all transactions use production environments. Debug Mode If Yes, diagnostic information is stored in log files on the Magento web server. If No, no log statements are executed. Require VBV / 3DS Setting this to Yes means successful transactions must complete the VBV or 3DS payer authentication process. Otherwise, Payer Authentication is optional. Note, not all customers will have cards that support VBV or 3DS. The CVD code returned must be in this list to be a successful transaction. If Yes, the response will require the issuer’s approval of a transaction. Add the following codes comma separated. S CVD should be on the card, but Merchant has indicated that CVD is not present. Send Postal Code for AVS The Address Verification Service (AVS) value refers to the cardholder’s street number, street name and zip/postal code as it would appear on their statement. The AVS code returned must be in this list to be a successful transaction. If Yes, the response will require the issuer’s approval of a transaction. See a full list of the AVS codes here. 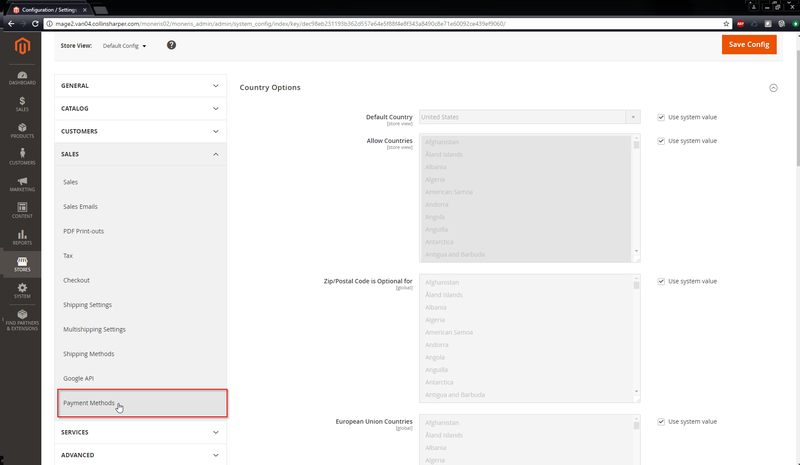 Payment from Specific Countries This is a multi-select box allowing the store owner to specify countries that will be allowed to use this payment method. Response Text Override Normally the module passes error messages in the response directly to the user. Some of these error messages are not meant to be front end facing. This section allows you to override the messaging to customize the information presented to customers in the event of a payment failure. Payment Action Authorize Only will check the card for validity but not charge the account until the order is approved and invoiced. Authorize and Capture will charge the debit/credit card at the time of the order submission. Sort Order Sorting order determines how payment options in checkout visually display. Onsite Store ID Assigned to you by Moneris when you setup your account. 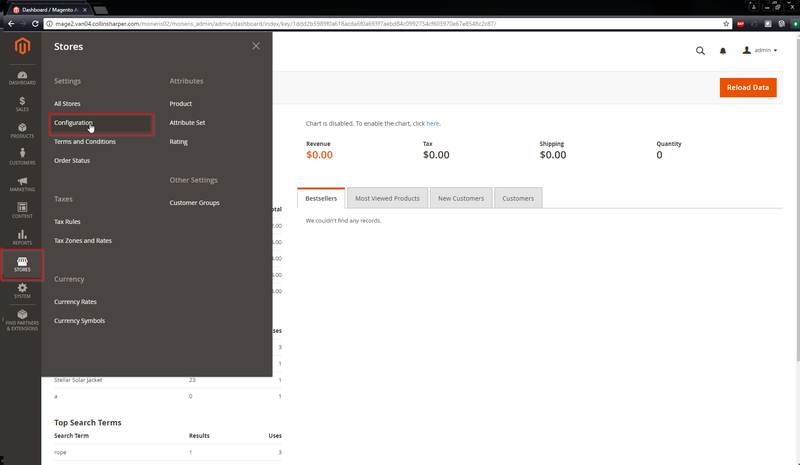 If you leave this out you cannot perform refunds in Magento, you will have to use the Merchant Resource Center to perform refunds. To test use the following guide to find developer credentials. Onsite API Token Assigned to you by Moneris when you setup your account. If you leave this out you cannot perform refunds in Magento, you will have to use the Merchant Resource Center to perform refunds. To test use the following guide to find developer credentials. PS Store ID Assigned to you by Moneris when you create a new Hosted Card Profile. To get developer credentials, see Section 5 of documentation (included in module download). HPP Key Assigned to you by Moneris when you setup your account. To get developer credentials, see Section 5 of documentation (included in module download). New Order Status When an order is placed using this payment method, this setting sets the status of the order once checkout is complete. Payment Action Preauthorization will check the card for validity but not charge the account until the order is approved and invoiced. Purchase will charge the debit/credit card at the time of the order submission. Store ID Store Id is assigned when merchants complete the store activation process. API Token API Token is assigned when merchants complete the store activation process. Payment Environment Distinguishes between the Moneris QA environment available for testing vs the live production environment which will connect to the live processing host.